Choose a day to have your homeschool planning retreat. If you can take a whole day, do it. If not, try to schedule at least 4 hours of planning time. Your curriculum will be at your disposal. You don’t have to pay for food, treats, or coffee for yourself. Your home (without kids) will probably have fewer distractions. What do you want to accomplish during your planning retreat? How many weeks, months, etc. do you want to plan for? Design a strategy to minimize distractions (i.e. let the phone go to voicemail; tell people not to call unless it’s urgent; don’t check your text messages or social media accounts while planning). Create an itinerary for yourself (make sure to include mini-breaks and inspiration in your day). Create a menu for yourself. I even suggest preparing your meals and snacks the evening before your retreat. What keeps you focused and motivated? Include this in your planning retreat as well. 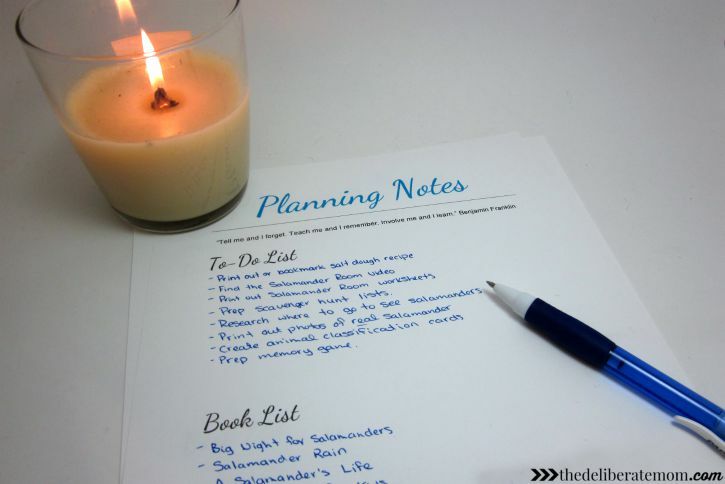 For example, if to-do lists motivate you, make a huge one and hang it in your workspace. The calendar for your household. A computer or laptop with access to a printer (make sure your printer has ink). Some pens, highlighters, and sticky notes. 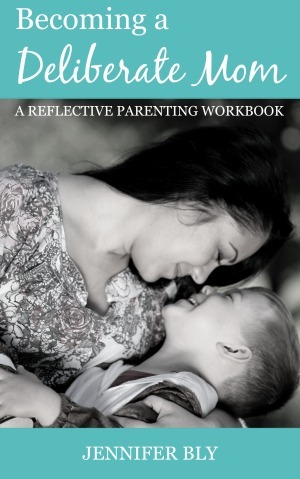 Your children’s curriculum and workbooks. Some assorted snacks and treats. A candle or scented oil for aromatherapy purposes. A collection of music or your favourite playlists (if you don’t like to work in silence). What to do on your planning retreat day. I encourage you to start your planning in an inspiring way. I like to pray before I do my homeschool planning. I invite God to help me create a curriculum that will motivate and encourage my children. You may want to start your planning with a refreshing walk around the block or perhaps you could do a couple invigorating stretches before you sit down to work. Start planning by looking at your calendar and noting any holidays, non-school days, etc. Record all of those dates on your calendar. Evaluate your learning objectives and assign a time-frame for each component of your curriculum. For example, if you have 5 science units that you need to cover in 10 months, you can plan 2 months of in-depth study for each unit. Document these units on your calendar or in your homeschool planner. If you’re planning for a shorter amount of time (like 6 weeks) focus on what units and curriculum you would like to cover during that time. Repeat this process with each of your subjects. This is a great time to take a break. 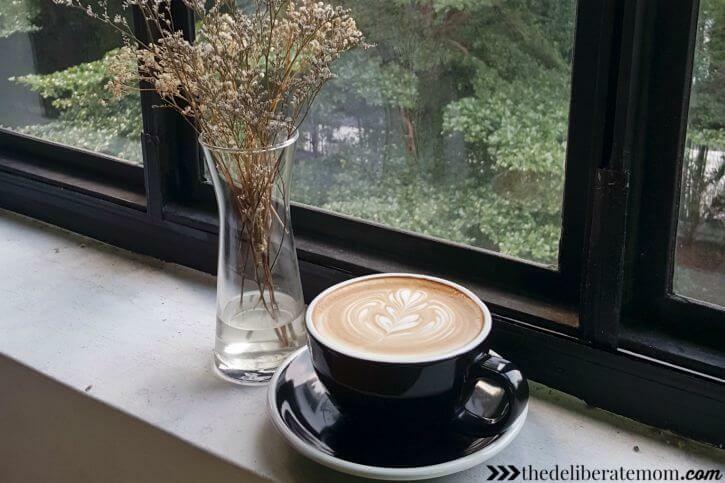 Pour yourself a cup of coffee or tea, treat yourself to a snack, and relax. Don’t clean. Don’t do any other tasks. This is your break. Give yourself a solid 15 -20 minutes to recharge your brain. Return to your planning with the task of planning your curriculum into your days. You may prefer to do the planning for one subject all at once, or you may want to plan day by day. I personally prefer planning subject by subject, that way I’m not opening and closing various books. Keep organized as you work. A to-do list (to track anything I need to prepare for a week’s particular activities). A shopping list for materials I need to buy (or gather) to carry out activities. A book list (to keep track of books I wish to borrow from the library, etc.). As I plan, I note everything I will need and I keep the lists with my plans. Since I do my planning in 4-week blocks, I take out these lists in the week prior to when I’ve scheduled the lessons and I check items off of the list as I complete them. You may also want to place sticky notes in the pages of your textbooks so that you can quickly reference pages when you’re teaching lessons to your children. Pray, meditate, and/or read your Bible. Eat a pastry while sipping a cup of tea. Work on a crossword puzzle. Also, I find setting a timer for work time and a timer for break time to be effective. This way I don’t get distracted from the critical task of getting the planning done. Once you’ve completed your plans, celebrate and do a happy dance! 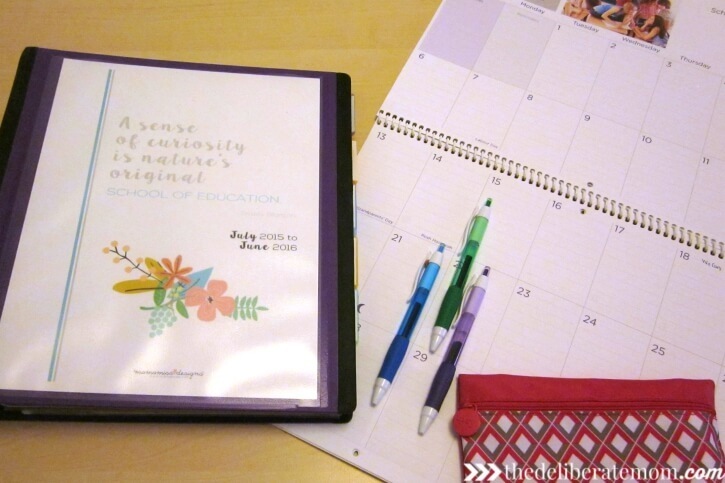 I LOVE the idea of having a homeschool planning retreat! I always spend some time before the Lord planning the new school year, and it’s always much more relaxing if my husband takes the kids out for the day so I can concentrate. I love all your refreshing ideas, too! 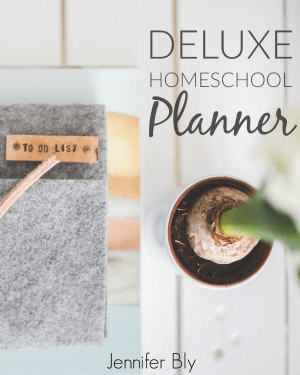 I love doing homeschool planning and I’m a firm believer in self-care. It seems natural to put the two together and have a planning retreat! I’m delighted you enjoyed these ideas Susan! I love planning Ceil. To unite it with the self-care of a retreat is pure bliss! Please do send your niece over! I’ll put on a pot of tea! I’m glad I have these posts of yours to read before I begin my homeschooling journey! I honestly hadn’t even considered having to do something like this but duh, I will and I really love the approach you take with it. Very organized. I love making an event of planning. Obviously I can’t do this all the time but when I can… ooooh is it ever awesome! Hello Jennifer, I like the ‘happy dance’ ending! We need to do a happy dance when we accomplished so much! Breaks and thinking time are so essential… especially when working on large tasks such as planning. You’re right, these step could be applied to other areas as well. I recently had a planning retreat. It took me 2 hours of work time to plan 4 weeks of curriculum. It was nice to have some extra time to relax, rejuvenate, and inspire. 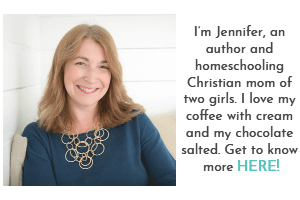 This is a great post Jennifer – I used to love planning our homeschool direction. I’m not only sharing today but I’ve book marked it to share again later in the year as the Australian homeschool mums start thinking about their new year. I’m so glad you enjoyed this Belinda. I love planning for my children’s education. 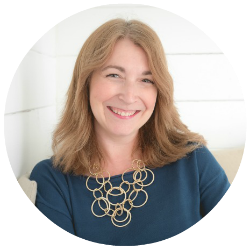 I actually do several planning sessions throughout the year – so much fun! I’m delighted you took away some helpful tips from this post Caryn! It’s wonderful to be able to bridge learning at school to home as well. I need to do this, this week, Jennifer! You’ve given me some good ideas and inspiration to make it happen. Oh yay! I’m so glad my homeschool retreat tips inspired you to plan! Enjoy it (this is one of my favourite parts of homeschooling)! 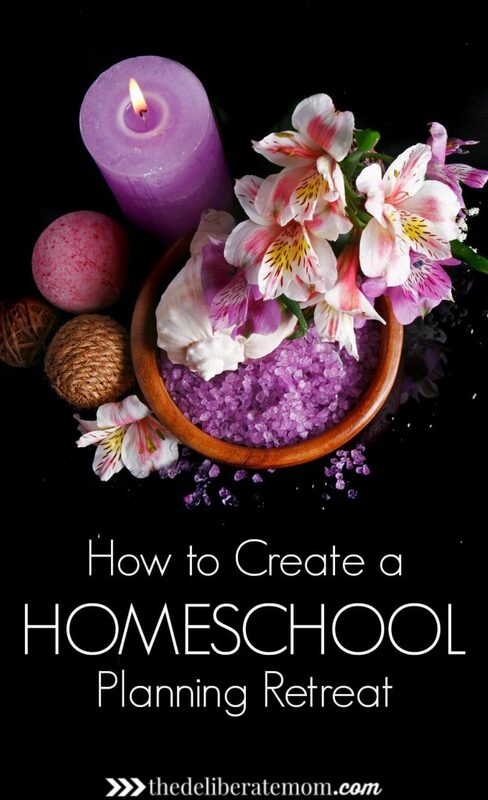 Great points you have shared in the blog to create a homeschooling retreat. Steps wise explanation really help us to know how to plan. Thanks for sharing.